Gas and Air Tech - Central Heating Engineer, Plumber based in Norwich, Norfolk. Invoice history based on 105 reviews. 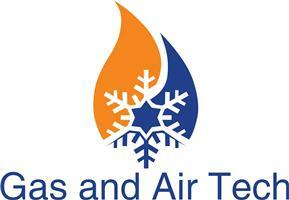 Gas and Air Technology Ltd T/A Gas and Air Tech. Gas and Air Tech is a family run business, with over 30 years experience in the central heating sector. We have extensive knowledge of all types of heating systems and boilers. Gas and Air Tech are happy to offer professional advice with regard to individual requirements, and to offer a solution that is right for you and your property, whether it is Gas, Oil or LPG that you require. We happily install any make and model boiler, but have a selection of tried and tested manufacturers that we recommend, depending on the needs of the particular job. If you are looking for a boiler installation, heating repair/service, Gas Safety Inspection, or full heating system installation you can rest assured that we will provide an honest, professional and competent service. We are Worcester Bosch accredited installers and Ideal accredited installers. Please give us a call, or send an email to see how we can assist you with your heating requirements today.